The Mountains of Greece is Tim Salmon’s Cicerone guide to walking in some of Europe’s most demanding peaks, with contributions from Michael Cullen. 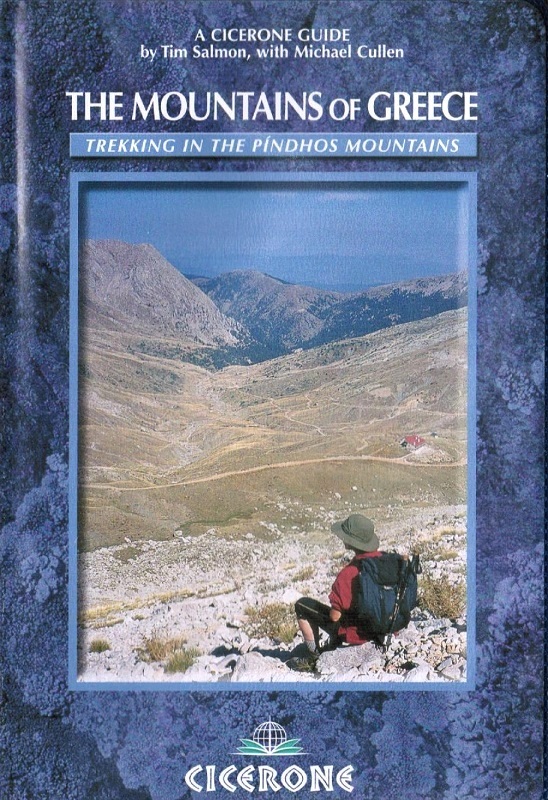 The guide describes a traverse of the Pindhos range and walks in regions including Athens and the east coast, the Peleponnese and the Mani. Most of Greece’s mountains are undeveloped and remote, yet are still accessible and the author provides detailed itineraries for some of the best walking opportunities that the country offers. 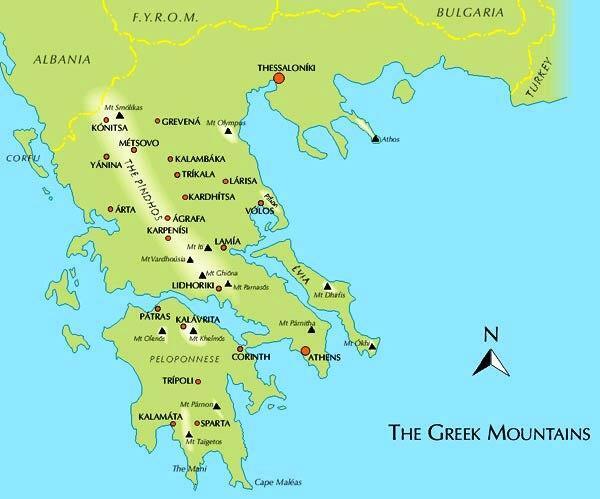 The guide is divided into four main chapters covering the general areas mentioned above and takes in Mt Parnasos, Mt Ghiona, Mt Vardhousia, Agrafa, the Aspropotamos, Zagoria and Mt Gamila, Mt Parnitha, My Olympus and the Pilion Peninsula, Mt Athos, Mt Khelmos, Mt Parnon, Mt Taigetos, Cape Maleas and the Mani, covering 41 routes in total. Each walk has an information box providing details on walking time, distance, Waymarking, height gain and loss and a difficulty grading. There is also a general overview of what to expect from the day’s walking. A comprehensive introduction explores traditional Greek mountain life, general history and flowers and wildlife and there are practical tips on sleeping and eating, weather, when to go, what to take, and getting to the mountains. Detailed route descriptions are accompanied by colour sketch diagrams mapping the route in addition to colour photographs illustrating some of the highlights of the country’s mountain landscapes.